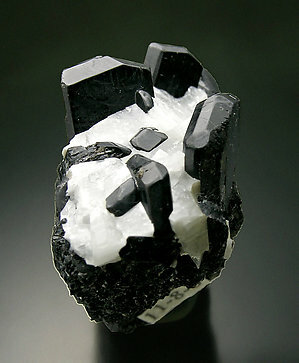 Prismatic flattened crystals of very well defined faces and edges, black, on a matrix of the same mineral which contrasts with the white Calcite partially covering the specimen. The specimen is from John. S. White collection and we’ll send the label with the sample.